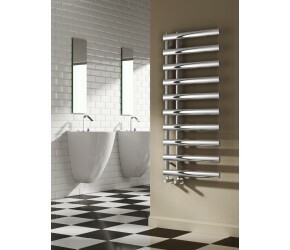 The Reina Grace towel rail range features evenly spaced out elliptical tubes with an open end for ease of use when putting on and removing towels. The Reina Grace is a fantastic design for any modern bathroom. This range of towel rails is available in chrome, white and anthracite and is available in two sizes - 780mm x 500mm and 1140mm x 500mm.